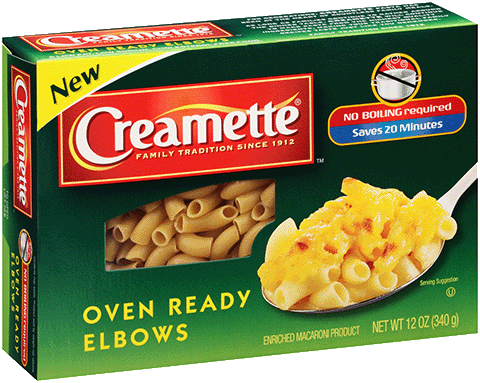 What types of cheese can I use with the elbows to make macaroni and cheese? he melting quality and moisture content of pasteurized prepared cheese makes it an ideal cheese to use in macaroni and cheese recipes. Other cheeses such as Monterey Jack, Swiss, cheddar and mozzarella also work well. Low-moisture cheeses such as Parmesan can be added to enhance the flavor profile but may result in a less creamy casserole. Still have a question? Contact us! On our website: For Creamette® Elbows: www.creamette.com Still have a question? Contact us!